An email is a valuable tool to reach leads and prospects, especially in the commercial real estate industry. For realtors, it’s critical to stay in touch with people and remind them on a regular basis of your expertise. Consistent marketing keeps you in the front of clients' minds when they are ready to use your service. 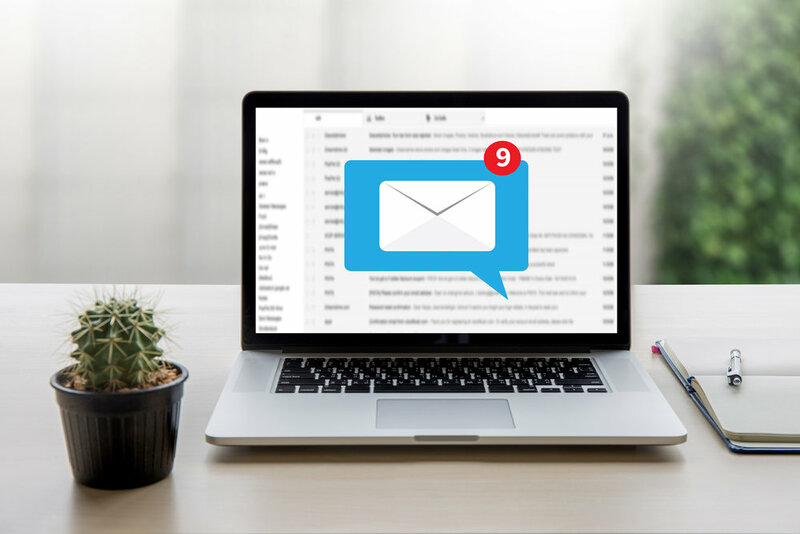 Unlike posting to Facebook or Instagram, your email campaign will take a lot of time to get together because you’ll have to design it from the bottom up. It’s a lot of work, but the results are rewarding. Here is what you need to know about starting an email marketing campaign. A significant drawback to using email is that it is often ignored. We know this because we all send loads junk mail straight to the trash every day. Your campaign needs to be spot on if you want it to succeed. The initial step in launching a campaign is gathering data from your intended recipients. You want your message to be appealing and engaging, not something people discard without reading. Start creating your powerful “opener” email. The more interesting the first email, the more likely subscribers are to read following emails. You need to find out what your customers will value. Is it a first look at new property listings? Exclusive blog content? Seasonal tips and tricks? Promotion or sale? The email content must contain something special. Think about what valuable information subscribers receive via an email that they can’t get anywhere else. Get a dialogue going so you can target their future needs or interests. Now it’s time to assemble a mailing list for your campaign. A poorly chosen list with irrelevant leads will not generate a good response no matter how dazzling your email design or content. Also, never, ever put a prospect on the list without their permission. If they haven’t requested the info, you’re sending them spam, which is both illegal and unprofessional. It’s not difficult to find prospects to willingly join the list, if only you give them a chance! You can embed a basic sign-up form on your website, include a link on your social media platforms, and even hand out hard-copy sign-up forms places your prospects tend to go. You can also collect business cards and verbally ask permission to add the person to your mailing list. The subscriber list will grow gradually over time, usually with a spike after an industry event. If the number of subscribers hovers around the same amount for an extended period, or suddenly drops off: SOS, you have a problem, and you need to fix it. The schedule should also factor in industry patterns. For example, if your prospects are landlords to college students who get busy during the end summer, you can send information about finding new tenants, or how to repair damages to a unit during the time it will be most useful to them. Plan for the email campaign to climax just when they need it. Don’t bombard your subscribers! We recommend you start by sending an email every other week. You can monitor if you’re sending too many by keeping an eye on the unsubscribe rate. Continually developing exciting content can be tough, especially if you’re trying to keep it fresh! You can learn from your competitors running successful email campaigns. Subscribe to their emails to have inspiration--and motivation--sent straight to your inbox! With HTML emails you can include all kinds of visuals, such as images, videos, and even animation. However, very busy emails with a lot of moving parts take a long time to download, and clients may have automatically blocked these as part of their security. Just make sure these “extras” are reasonable, keeping proper proportions of text to images. Once you find a system and style you like, don’t change it. You want your clients to recognize the look of your consistent email design. If you're going to make changes, do a little test by sending the same content in two different emails, one with an old design and one with the new. Monitor the stats to see how successful the switch went over.